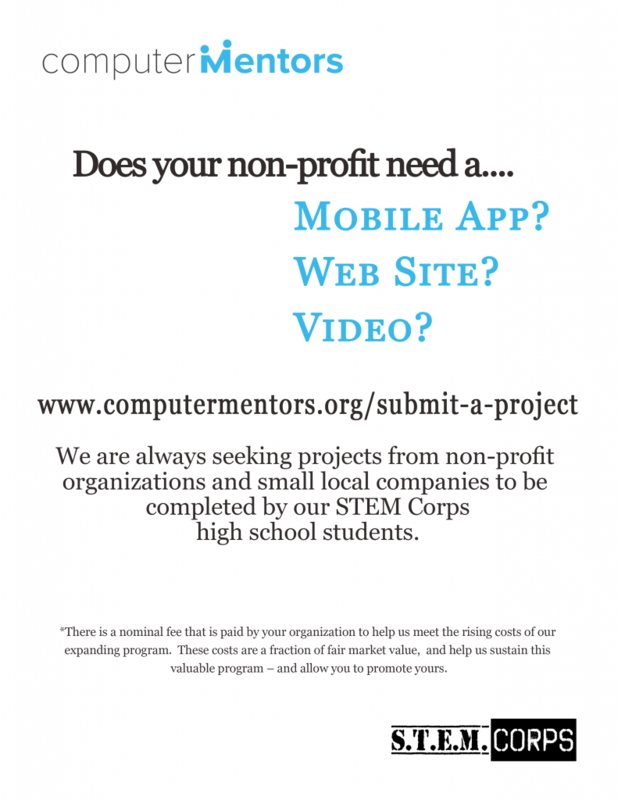 We are always seeking projects from not-for-profit organizations and small local companies to be completed by our STEM Corps high school students. We currently are creating websites, videos, and mobile apps that both have educational value for our students, and value to your organization’s mission and company’s bottom line. There is a nominal fee that is paid by your organization to help us meet the rising costs of our expanding program. These costs are a fraction of fair market value, and help us sustain this valuable program – and allow you to promote yours. Check out our Student Project Pricing options.